Inspired by the salty talk, snow and the Syracuse Orange that makes up the City of Syracuse I created a design that brings all of that together. 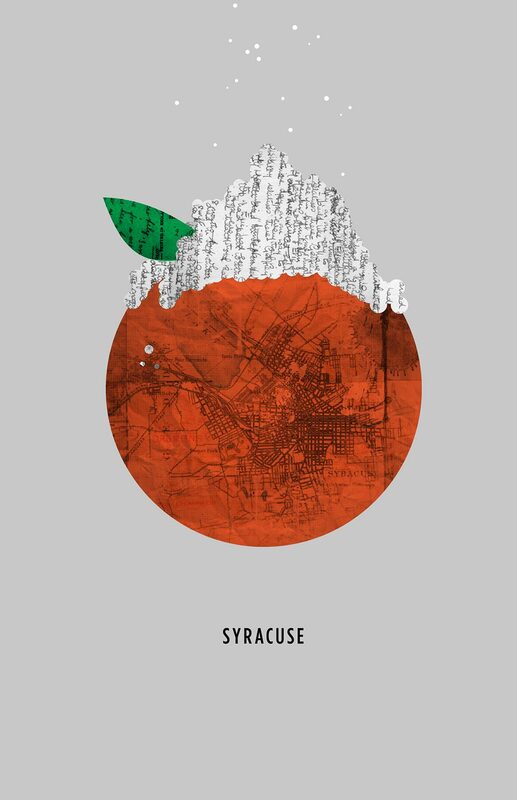 An orange a top with salty talk and snow that has an old Syracuse map running through it. 4 color screen print that is printed on French paper, limited to 50 pcs. Sold out.